Pamela Hurd-Knief is the part-time Planned Giving Associate for WESST and the part-time Resource Development Associate for the Mind Resource Network. From 1998 through 2017, she was a member of University of New Mexico (UNM) fundraising team and the School of Engineering (SOE) Dean’s Office staff as a frontline fundraiser, Director of Major Gifts/Interim Associate Vice President for Development with the UNM Foundation; and as the Director of Alumni Relations for the SOE. She holds a BS in political science and economics from Juniata College, an MS is rural social work from Penn State University, an MB/GA from the Wharton School of the University of Pennsylvania, and an MA in Philanthropy & Development from St. Mary’s University of Minnesota. She was a W. K. Kellogg leadership fellow. Pam is a Certified Fundraising Executive and holds a tier 1 Crescendo Certification in Planned Giving. Since her 1993 move to New Mexico, Pam has served on over 20 non-profit Boards in New Mexico. 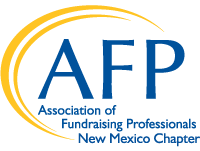 Pam currently serves on the following Boards of Directors/Trustees: Albuquerque Community Foundation, Albuquerque Museum Foundation, Adelante Development Center, United Way Women United, and the New Mexico Chapter of the Association of Fundraising Professionals. Pam served in a variety of committee and leadership positions with AFP NM and as the 2005 Chapter President. She served as both an appointed member of AFP International’s Ethics Committee and the Marketing and Awards Committee (MAC). Pam was named the New Mexico Professional Fundraiser of the Year in 2007. She was also recognized by the New Mexico Business Weekly as a Powerbroker in 2009, 2010, 2011, and also as a Woman of Influence in 2010.